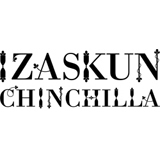 Izaskun Chinchilla founded her own office in Madrid in 2001, soon after completing her architectural studies at the Universidad Politécnica de Madrid. She is part of a new generation of talented young architects graduated from one of the Madrid architecture schools. Her projects are characterized by a strong interest in innovation and a multidisciplinary approach to the planning process: sociology, ecology and science meet architecture in order to face the complexity of real life in the contemporary world. Izaskun's unexpected and various sources of inspiration enable her to always learn something new, from carnivorous plants and Chinese ceramics to crochet work and recycled paper. Her body of work contains a large number of projects that are not directly related to built architecture, such as the organization of symposiums and exhibitions or the design of a collection of brooches. A combination of live-footage frames, photomontages, collages, graphic elements and drawings, sometimes overlapped, Izaskun Chichilla's videos produce the effect of a kaleidoscope. Results are interesting, and observers' glances are captured from the images and the narration as well. The poetical and "cradle-to-cradle" approach to architecture contained within the project of the Organic Growth Pavilion connotes "Organic Growth", an original and colorful video narrating the design concept. The low cost, sustainable and multifaceted temporary installation designed by Chinchilla is inspired by the growing and morphing ability of trees and hydrangea flowers' structures, and was one of the winning entries in the 2015 International "City of Dreams" Pavilion Competition in New York. The short film "Cosecha de Luz" uses graphic techniques similar to the ones mentioned above, but adopts a different narrative style, and narrates in an original way Izaskun Chinchilla Architects' proposal for the temporary illumination of Peter Eisenman's City of Culture of Galicia in Santiago de Compostela, Spain. Izaskun Chichilla's activity is accompanied by a research project called "Social and Aesthetic Repercussions of technical topics and solutions which take ecology into account" and that has taken her as visiting scholar to different Universities, including Columbia University in New York, Ecole de Mines de Paris and Princeton University in New Jersey. Chinchilla couples her professional and research practice with educational activity; she is Senior Teaching Fellow and Researcher at the Bartlett School of Architecture in London and teaches at the ETSAM in Madrid. Her works have been widely published and were included in various International exhibitions, museums and galleries. She has won different prizes in professional competitions.